Anna A. Corcoran | Webber & Thies, P.C. Ms. Corcoran concentrates her practice in the areas of business representation and general litigation. She started at Webber & Thies in May 2016 as a Law Clerk, and joined the firm as an Associate in November 2017. 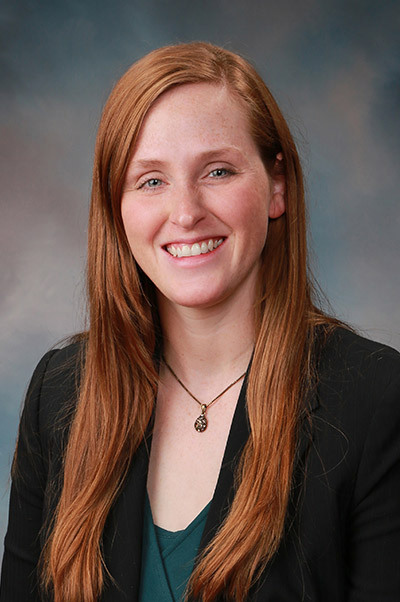 During law school, Ms. Corcoran received a Rickert Award for Academic Excellence, worked with the Community Preservation Clinic representing borrowers in the McLean County Foreclosure Mediation Program, and worked with the Family Advocacy Clinic in Champaign County. Ms. Corcoran is a member of the Champaign County Bar Association, the East Central Illinois Women Attorneys Association, and the Illinois State Bar Association. Ms. Corcoran co-authored with David Thies, The Promises and Perils of Asserting the Mediation Privilege (ISBA Alternative Dispute Resolution Section Newsletter, May 2018). Ms. Corcoran served as an editor for the Elder Law Journal and was a writer for the Illinois Law Update during law school. Ms. Corcoran lives in Monticello with her husband, Collin, and their two children.